Well, not really. But fresh-from-the-oven flavor? Yup. 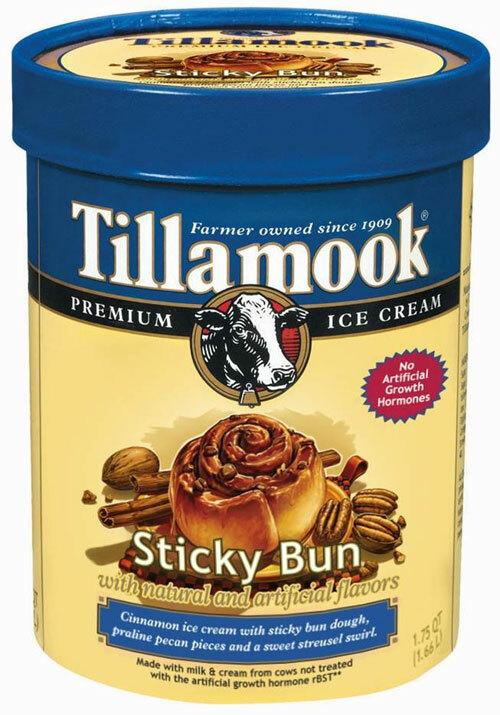 Tillamook Sticky Bun Ice Cream is hitting (freezer) shelves across the Pacific Northwest. Do not try this at home. Check out the press release, including other ‘hot’ flavors, after the jump. There’s still time; summer is not quite over. Sure, time for fun in the sun may be dwindling, but there is at least one outdoor activity that can always be available indoors. Ice cream. 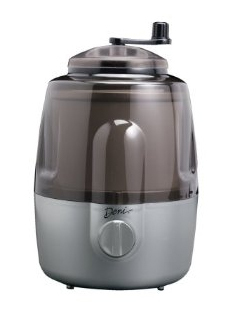 The Deni Automatic Ice Cream Maker With Candy Crusher keeps the season going any time of year. 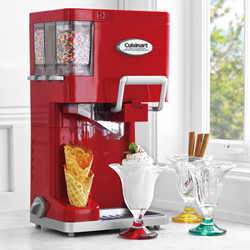 Featuring the ability to make up to a 1.5-quart batch in as little as half an hour, the countertop ice cream machine even incorporates a crusher that dispenses cookies or candy directly into the ice cream. Available now at an affordable end-of-season price, catch it now before it melts away like summer. 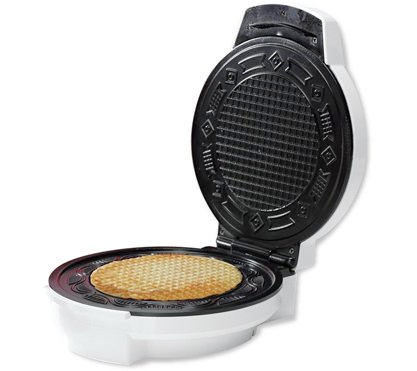 If you find it hard to justify owning a waffle maker that only produces waffle cones, just consider that it could also be used to make waffles for ice cream sandwiches See? Not a unitasker! 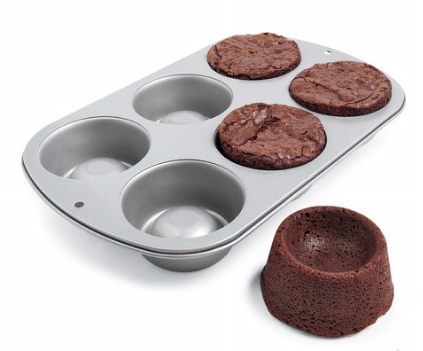 The Wilton Brownie Cup Pan takes brownie baking to a new level. Instead of using a regular 8-inch square pan, add a little fun (as if brownies needed more fun) to your brownie mix by baking them into handy cups. Fill with ice cream or frosting for a truly special treat. The nonstick steel pan produces six 3.5-inch brownie cups per batch. Although the indentation is an inch and a half deep, how high you stack your brownie is entirely up to you. Here’s a kitchen gadget that just won’t get much use. Oh sure, you’ll try to use it, but chances are it will simply sit unused on the counter top. 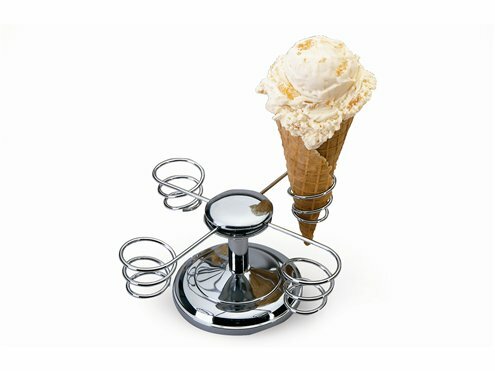 However, if you think you can make ice cream cones faster than they can grab ‘em, then by all means check out the Chef’s Choice Ice Cream Cone Holder.